There are freethinkers, free spirits, risk takers, right makers, dreamers, and doers who are standing up to support Together, We Dream. Here is one story that explains why. 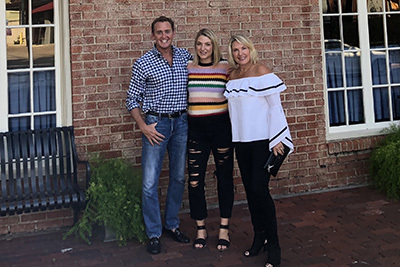 Meet Sheri Lyons ’86, an MPA parent of an alumna and a member of the first graduating class at MPA. It will benefit our family for generations to come. I believe that the completion of this project is a culmination of the vision that began over 35 years ago. I am excited to see it come to fruition. Why do you choose to give to Together, We Dream even though you and your daughter have graduated? As a member of the first graduating class at MPA, I feel that this campaign will complete the vision that the founders had for our community, and benefit all future generations of students! The Library and Cafeteria are the only remaining original spaces at MPA. The fact that they were outdated 30 years ago, when I was a student, should speak volumes about the need for change. I feel that the building that Mounds Park Academy is housed in should reflect the progressive and forward thinking ideas the teachers and administration impart to its students. One of the main reasons that I chose MPA for my daughter is that the mission and vision that a group of educators had for this school 30 years ago, is still present in its halls today.